The perception that green homes are not aesthetically appealing is a thought relegated to the last century. 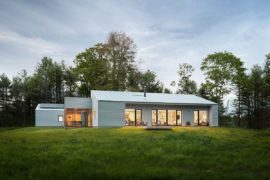 With architects, green energy pioneers and designers working overtime to bring together form and eco-friendly function, modern solar homes are anything but mundane. 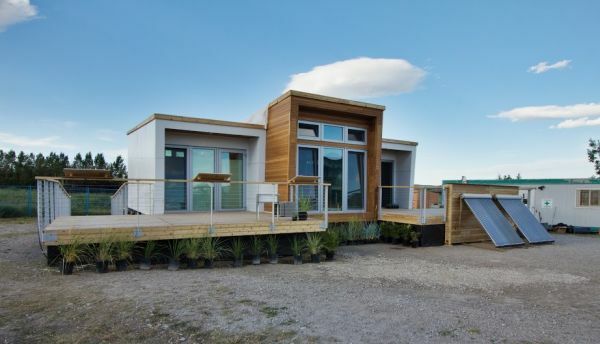 The biennial U.S. Department of Energy is an event that offers a fascinating glimpse into the solar homes of tomorrow. Started in 2002, the collegiate competition — who has the best young minds from across the globe showcasing their vision for a greener tomorrow, will take place October 3–13, 2013, at Orange County Great Park in Irvine, California. So now seems like a good time to take a look at the best houses that will be on display. 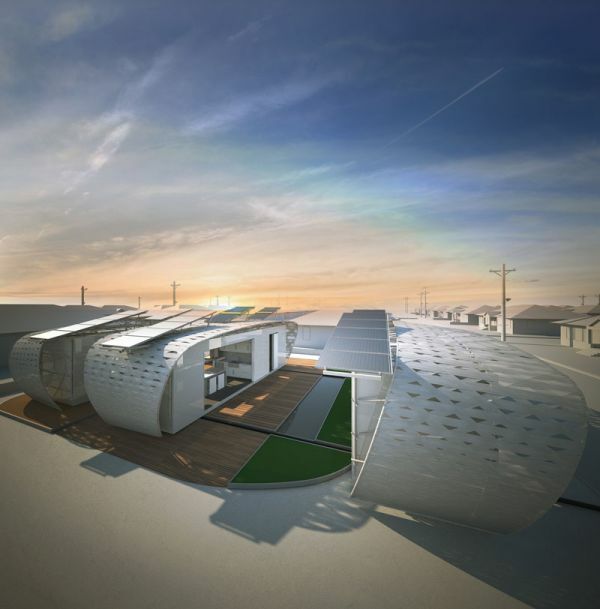 Plenty of work, the perfect design, energy-efficient features and of course, that one ingenious idea that could change our future, are key elements for winning the Solar Decathlon 2013 challenge. These are our favorites. 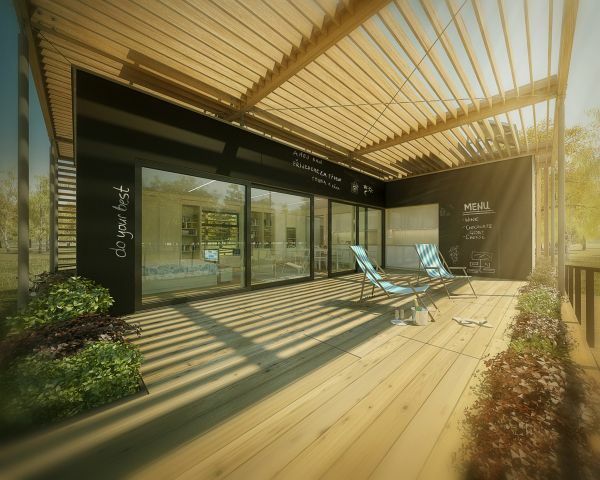 The team from is the first team from the Czech Republic to make it to the prestigious proving grounds of the Solar Decathlon. Their caters mainly to the needs of the senior citizens who are nearing retirement. 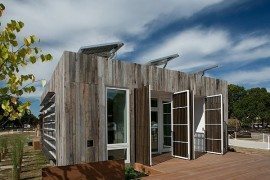 An acronym for affordable (A), innovative (I) and recyclable (R) house, the structure delivers on what it promises. Inspired by the Czech tradition of spending the weekend at a cottage-styled retreat called chata, AIR is all about creating a soothing and relaxed atmosphere indoors. Comfort and aesthetics are pretty high on the list of things that AIR built into the design. 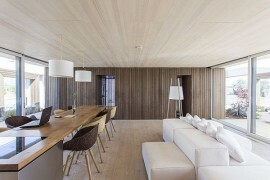 The interior of the home is largely crafted in natural wood, giving it an inviting and warm appeal. Most of the décor is also kept to a minimum as interaction between the indoors and the world outside is seamless. An open design, flowing interior and minimalistic approach give it a modern vibe. Generous outdoor terraces, an integrated edible natural garden and a solar canopy encourage you to spend ample time outside. As stated above, AIR is designed for those closer to retirement and looking for a healthy, tranquil and affordable lifestyle away from the city rush. But, it could be equally appealing as a prototype for rustic cottage units that offer a cool holiday retreat in the woods! HARVEST HOME is the entry of Team Capitol DC and the green home is named appropriately. Team Capitol DC comprises of , , and . The house has been designed to create a healing atmosphere as the energy of nature takes over to replenish ones’ senses. 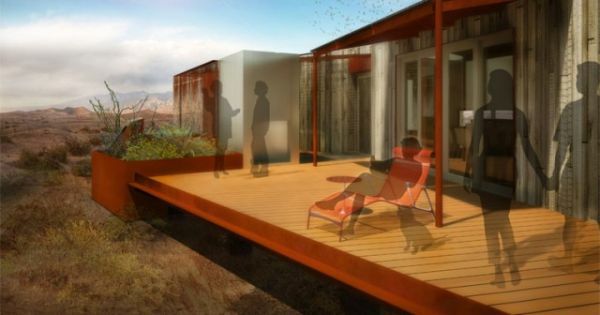 Tapping into solar energy, wind circulation and natural canopy outside, the smart structure not only helps the planet heal, but also those who make it their home! 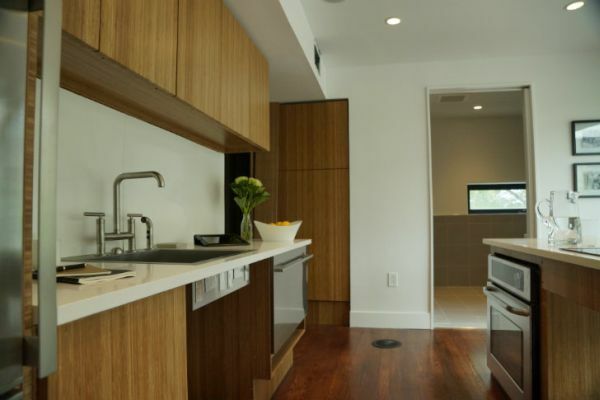 Recycled materials have been used throughout the home to minimize its carbon footprint. But what really draws us to the HARVEST HOME is the way it blends a multitude of elements to create amazing ambiance. A rain screen helps you enjoy the beauty of a lovely drizzle, while savvy contemporary design offers great natural ventilation. The design is well and truly a breath of fresh air, even as the surrounding gardens add the green touch. Obviously the photovoltaic panels on the top provide for the solar power that the home needs and also cater to the hot water needs. An under-floor heating and cooling system adds to the comfort factor of the home. Coming with a smart home management system, it also ensures that you will not have to worry about energy wastage as the inherent technology of the HARVEST HOME takes over. Following the Americans with Disabilities Act, the home offers perfect accessibility to pretty much everyone. 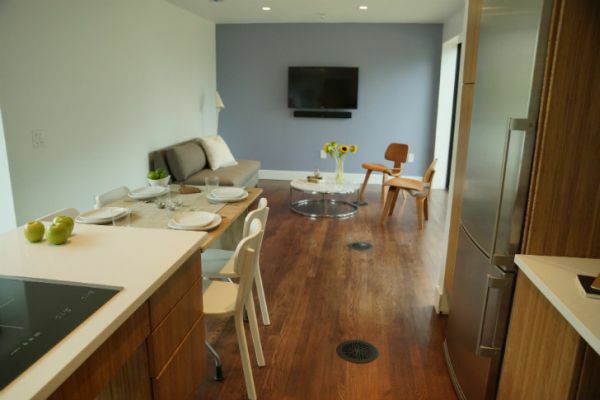 The home was designed to specifically cater to the needs of war veterans. 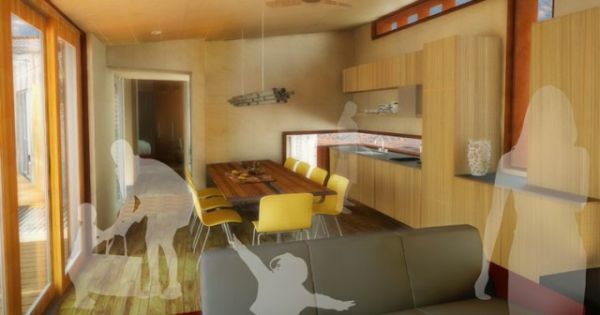 Its calming ambiance and self-sustainable design make it an ideal choice for a war veteran returning home. In fact, will donate the HARVEST HOME to a veteran’s organization once the contest is done. 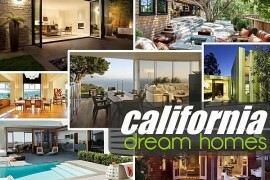 One look at DALE (Dynamic Augmented Living Environment) and you know that this stylish entry comes from Californi! 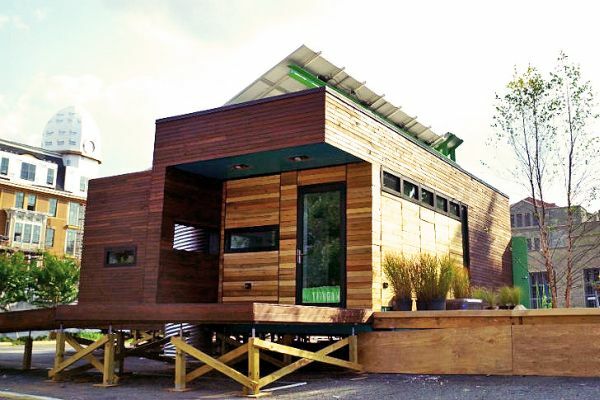 Conjured up and crafted by and for the 2013 Solar Decathlon, DALE is truly a showstopper in every sense. Its versatile design, mobile exterior, contemporary design and exquisite form are inspired by the cool and laidback lifestyle of the California beach life! 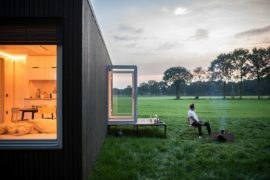 Made of two movable, prefabricated modules, the home blurs the conventional line between indoors and outdoors. The most impressive feature of DALE is the dexterity in its design that allows it to embrace many different forms. 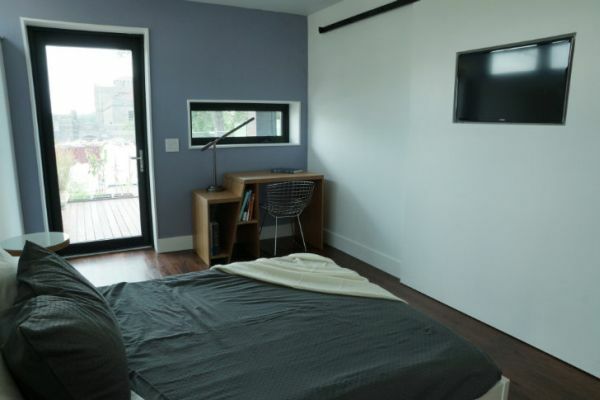 Created to counter the current trend of large, expansive and often inefficient designs, the home’s units can simply be pulled together or apart depending on your space and security requirements. 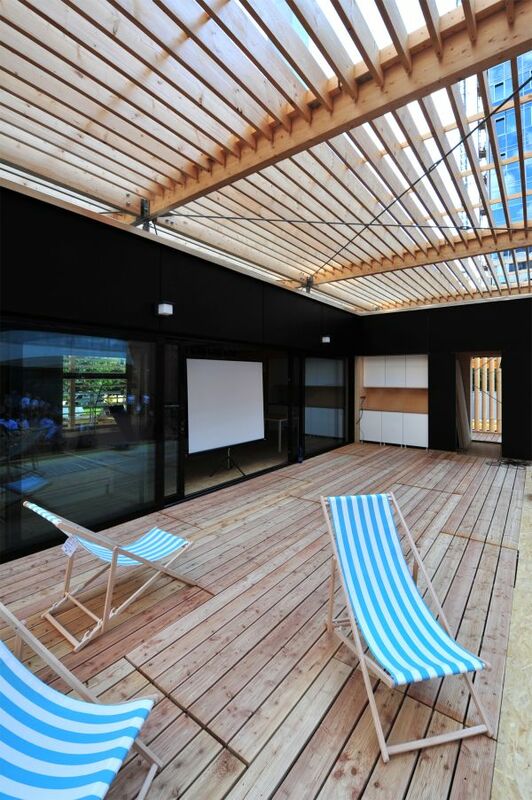 Partitions from the ceiling also help create instant rooms, while a vinyl exterior skin gives it an exclusive identity. A 28-panel photovoltaic array provides all the energy required to power . Apart from the solar power and its inherent advantages, DALE is really all about its dynamic form. The railing system that it is installed on makes it a stand out design. 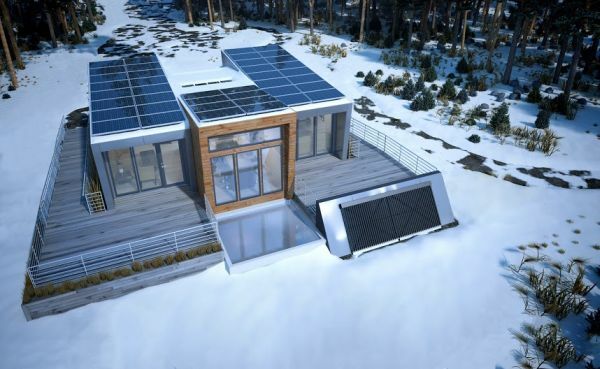 Sliding solar canopies, a water management system and an inventive design combine to make it an ultra-efficient home. DALE really is a home for everyone young at heart and happy with a cool contemporary home that can actually move around! It definitely is a bachelor pad that will turn a few heads and we ourselves love the progressive design of this green home. Targeted towards those happy-go-lucky denizens of Southern California, DALE is an impressive eco-friendly home that actually grabs your attention with sheer design. That is probably the best compliment that one could give to the inspired designers who came up with the concept! 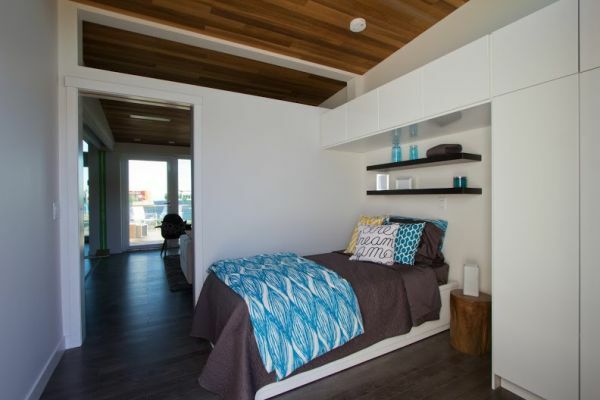 Stanford University is another entrant at the Solar Decathlon 2013 that will look to appeal to the current generation of home owners who are contemplating about riding the green wave. 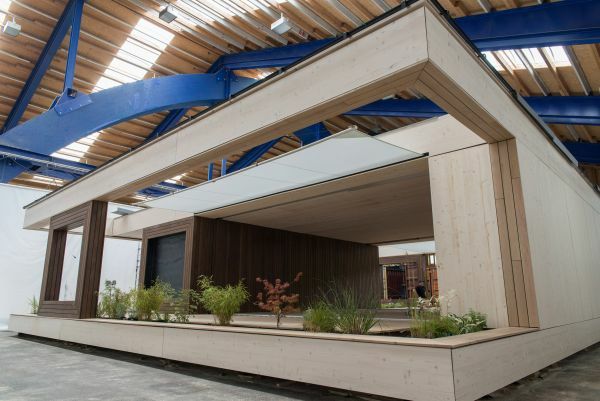 is a design that aims to make sustainable housing affordable to one and all. With a design philosophy that says ‘Sustainability at the push of a button’, the Start.Home is intends to break away from the traditional image of an efficient home. 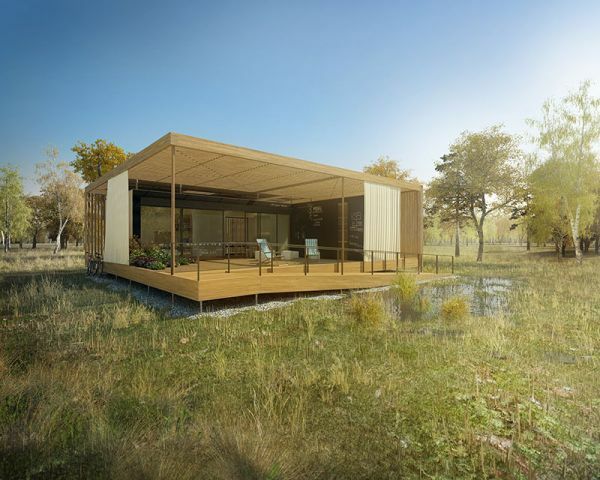 Coming with a simple, three-by-three modular grid and an integrated core the home can easily expand when needed by adding more modular units. The Start.Home is obviously all about starting a journey into a world of green energy. But it also taps in beautifully into the psyche of general public. Most of us look at buying a new home as a start of new phase in our lives. That could be marriage, a new job, kids or moving to a different city. With Start.Home you can commence on this new life journey with an added green touch. The cool urban home only offers you what you need. Hence you can start out small with a basic home and then add further modules with your growing needs. Each Start.Home comes with a CORE and this pretty much drives the energy needs of the remainder of the home. The CORE apparently operates with the simple push of a button and manages all your power needs. Solar energy obviously drives this core of the house and with heat-recovery technology, greywater harvesting systems and energy-efficient gadgets, the Stanford University green home manages to create a trendy hub that is both economically and environmentally sound! Considering the university’s locality, young Palo Alto couples make the perfect target demographic. But we believe that anyone and everyone can benefit from a housing solution like the Start.Home. What appeals to us most about this idea is the ability to do away with the unnecessary and an option that allows you to add additional rooms easily down the line. Inspired by the lovely landscape and artistic brilliance of the country, LISI is indeed a beautiful sustainable home from Austria. Crafted with care by the team at Vienna University of Technology, LISI offers a wonderful balance between indoor and outdoor spaces. 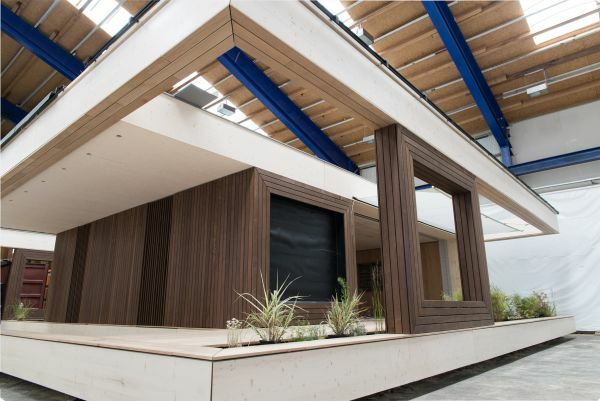 Also able to shift between private and public modules with ease, the green structure tries to maximize energy resources even as it adapts between different styles of design and climatic conditions. A truly international design, LISI is like that perfect blank canvas that is ready to be filled with your own distinct impression! LISI does look like one of those green homes that you would be glad to call your own. A series of indoor and outdoor spaces allow you to switch between the patio and the living area with ease. An automated screen helps control the temperature while a fresh herb garden adds to the aesthetics even while providing you with some of the ingredients for the next meal. 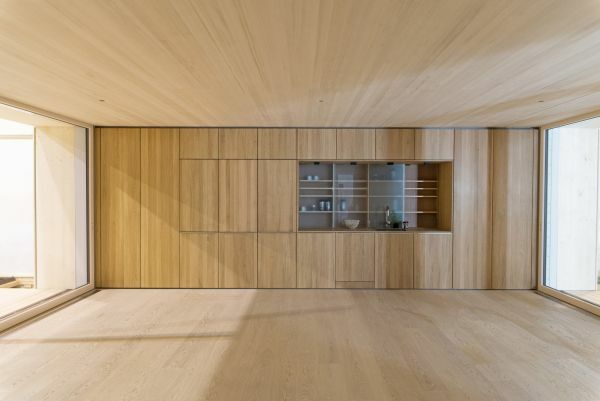 Smart storage units are integrated into the walls of the house to free up as much space as possible. LISI reminds us of efficient Scandinavian design; elegance and ergonomics wrapped together with style! 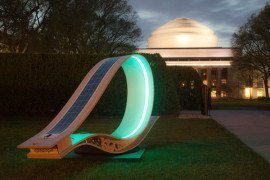 produces far more energy than it consumes and with many nations now willing to buy energy back from the consumer, this might not be a bad option at all! 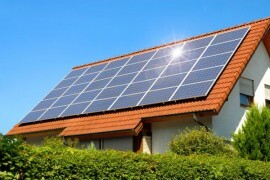 Excess energy can be shared with the grid and this should also offset the cost of the house in the long run. Apart from its solar prowess, LISI comes with automated energy-recovery ventilation system and multifunctional sub-floor system that regulates indoor weather. If there is one truly universal design at the , then LISI would probably be it. Simple adjustments should see it fit in perfectly in any part of the world. Of course, if you happen to be closer to the tropics, it helps with the solar energy system. Even otherwise, LISI does appear like the complete package that has plenty of commercial value. We love the team name that , , and decided to go with. Team Kentuckiana does have a nice ring to it. (It almost sounds Italian!) 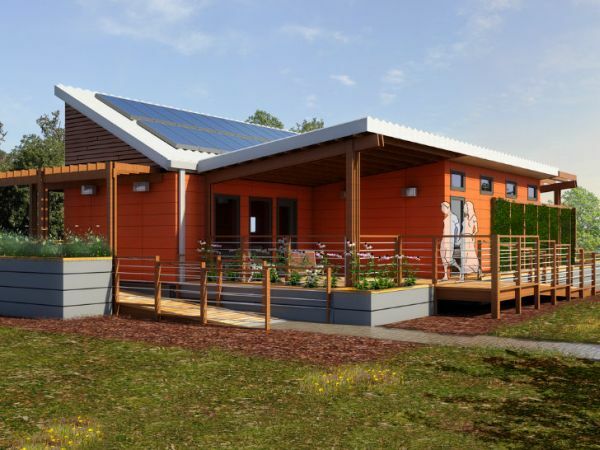 And if there is something that is even better than the name of the team itself, then it is their green home design for the Solar Decathlon. (again, love the name), is a concept that simply demands attention for all the right reasons. 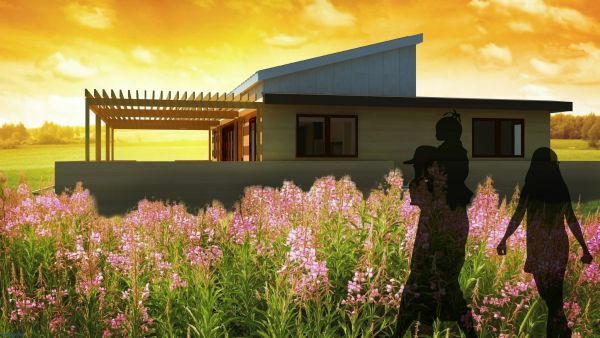 Made out of durable and low-maintenance materials, Phoenix is a self-sustaining structure designed for middle-class families affected by tornadoes. Made from fiber cement panel and reclaimed wood, Phoenix House has been crafted with a cost-effective and easy-to-assemble design in mind. is not about offering fancy and unreasonable solutions. It is about delivering a safe and self-sufficient structure that will function even during the crisis period. An open floor plan, multi-purpose living room, bathroom that doubles up as sturdy weather shelter and a green garden, this indeed is all about delivering help to those who have been hit by the fury of nature. 7.6 kW of solar panels and this is an important aspect of disaster relief housing. Most often power lines are not restored quickly enough living cities in darkness for days after a hurricane or tornado hits them. Solar panels can obviously tap into whatever sunshine is on offer. Water recycling system provides for clean drinking water while low energy lighting makes sure that power consumption is kept to a minimum. 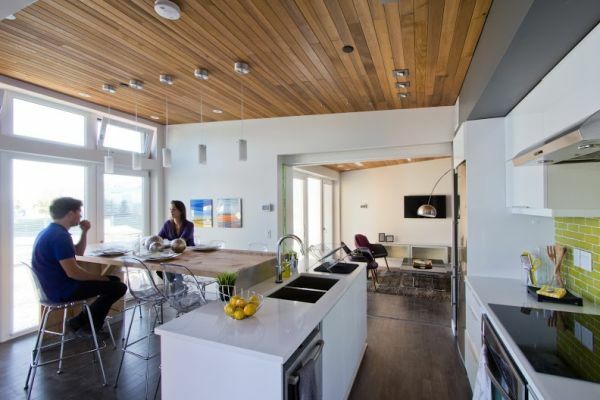 Phoenix House is a green home that really deserves all the attention it gets. Most often we are engrossed in expansive homes and fancy designs that do not actually work well in the wake of a crisis. 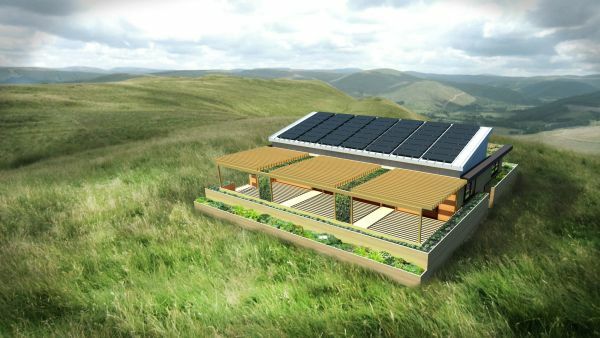 This durable, sustainable and smart structure could actually help improve post-disaster relief measure. Much like the Phoenix that rises out of the ashes, this home represents tenacity and resilience. What if you wanted to escape the world and live in an uninhabited pocket even while enjoying a quality lifestyle as you work from home? 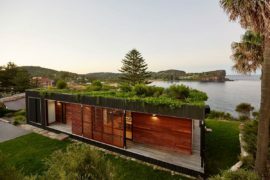 Is there a green home for you? Well, according to the University of Calgary Team, there is a perfect home for you. And it so happens, that they are the ones who came up with this eco-friendly home designed to meet the demands of a remote construction site! Much like the Phoenix, the Borealis House has our attention from the get go thanks to its magical name. The many make it as green as the some of those dancing northern lights in the sky. 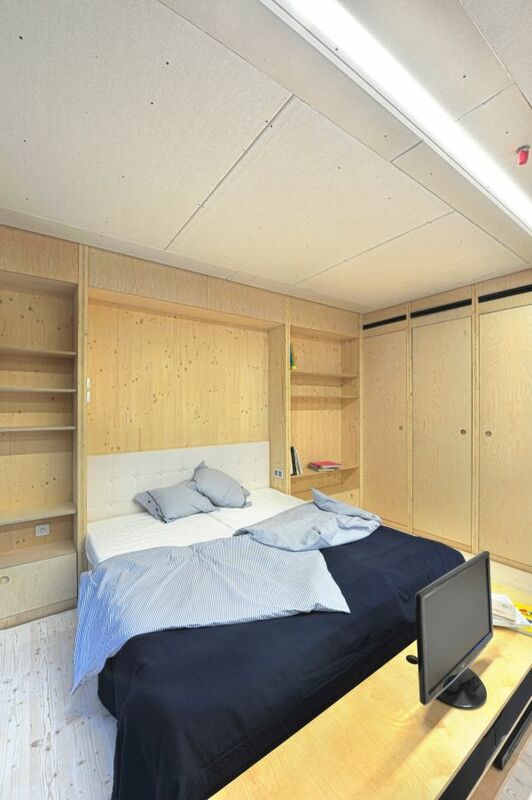 It is a modular house that is easy to transport, assemble and is economically viable. Construction costs for houses in remote locations are often too high and Borealis aims to address this concern. 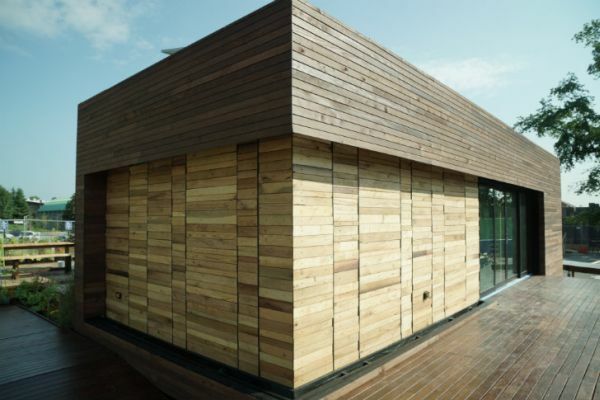 Rot-resistant cedar wood siding and fiber cement boards make up the hard exterior of the house while a three-module design offers ample space inside. Obviously solar technology might not always kick in to offer the best results in the Great White North. Long and cold winters with little sunshine might mean that you still need to find alternate energy sources at times. But an array of photovoltaic panels powers the home otherwise and micro-inverters ensure that you get maximum output. Custom energy monitoring systems and LED lights further cut down on the energy consumption making this contemporary home far more efficient. 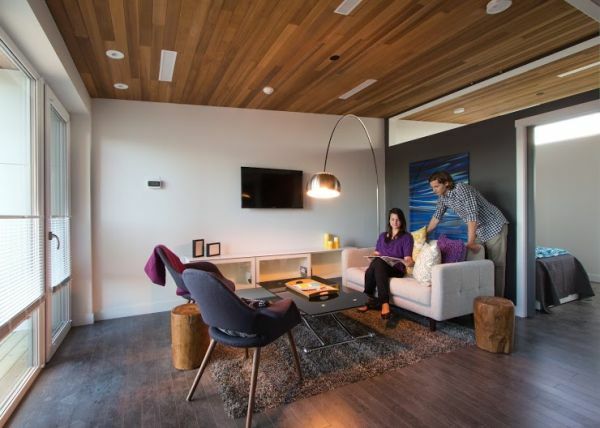 The concept of Borealis is something that we think will gain popularity as more and more people turn their homes into work spaces. 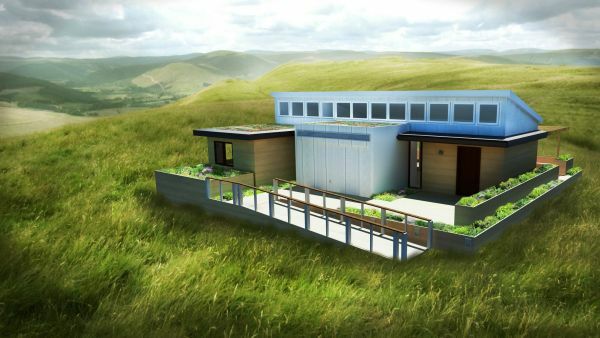 A self-sustainable green home like this could offer one a chance to break away from depending on grid power. Integrating local conditions and geography into its form, Borealis is for those looking to escape the dull and the mundane. 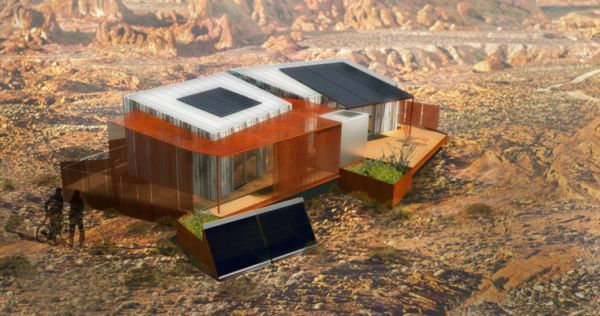 The DesertSol House from makes the list for both its adaptability and an ability to convert harsh desert conditions into a sustainable housing solution. We have always wondered why all those amazing modern houses in tropical and sub-tropical zones could not tap into solar energy more. Turns out, it is just lack of intent! 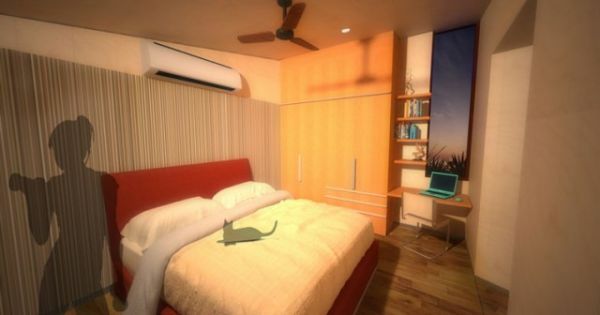 Crafted to suit the harsh conditions of the Mojave Desert (Yup, imagine the music from Rango in the backdrop), DesertSol combines comfort with green solutions. Combining sleek contemporary lines with a weathered finish, the home uses several eco-conscious features to make your life in the hot desert far more comfortable. One of the main concerns of the house is the cooling system that uses both solar energy and ample shade to hide you from the scorching sun. A rainwater harvest system and smart folding doors further add to the charm of DesertSol. Apart from the ability to tap into solar power using its photovoltaic rooftop, the home has a topnotch fire safety system and features LED lighting to further cut down on energy demands. Designed for a harsh outback life, would obviously face little trouble in accessing all that free power from the sun! believes that DesertSol is ideal for those who would love to us it as a retreat or a second home. Projected to cost US$320,000 to build, the home could offer sustainable and cost effective shelter for many, if it were a tad bit cheaper. Yet, its array of rainwater collection features and green energy credentials make up for the price tag in the long run. We believe that the teams on display here have all that it takes to win and a whole lot more. And when the covers come off finally this October, the one true winner will be a greener planet and an emission-free tomorrow; irrespective of who takes home the crown. 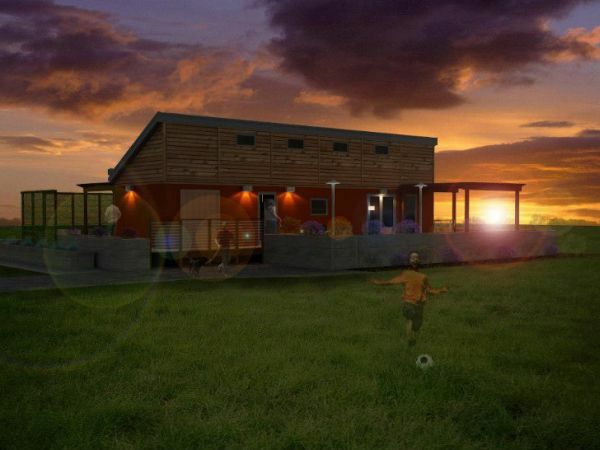 You though, can pick your favorite and back them by showing your support for the solar home design that you love best. So, which one will it be? 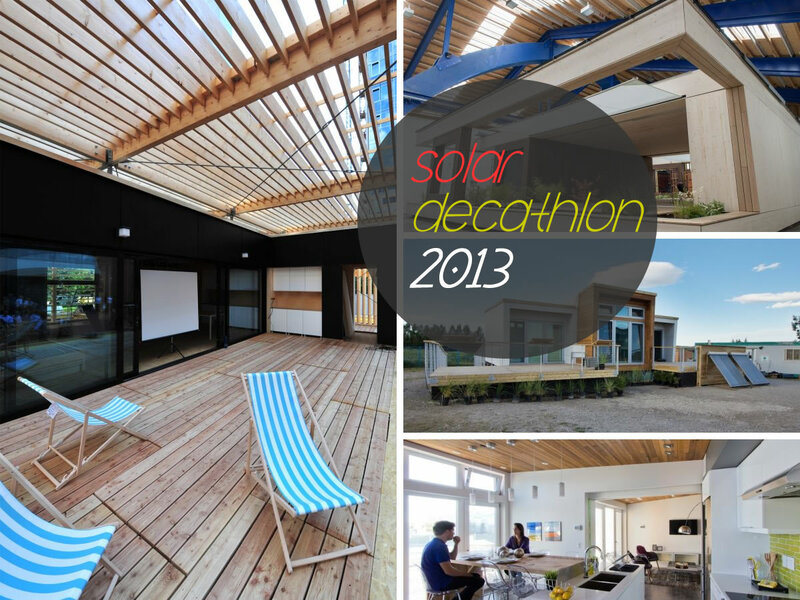 Team Austria Design LISI Wins Solar Decathlon 2013!